It’s that time of year again! Back to school is in full swing and so are our schedules. The dog days of summer are coming to an end, and that means we’ve all got more on our plate. Whether you’re packing lunches or hitting the books, getting into the swing of things after a relaxing summer vacation can be stressful. With everything you’ve got going on, it can be easy to find a skincare routine at the bottom of your to do list. Before you find yourself trying to fix problem skin this coming holiday season, follow these 5 steps to keep your skin healthy and happy. One of the first rules of skincare is to never go to bed with your makeup on. It can be tempting, especially if your skin isn’t breakout prone, but don’t do it! When you sleep with your makeup on, your pores become clogged over time, leading to dull skin, breakouts and aging. Buy a cleanser that does more than one job for added benefit. 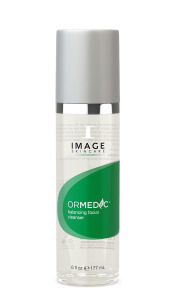 Try Ormedic Balancing Facial Cleanser with green tea and chamomile. This organic 3-in-1 cleanser acts as a cleanser, exfoliator, and toner, leaving your skin soft, hydrated and naturally clean. Just because summer is coming to an end, doesn’t mean you get to skip the added coverage and protection of sunscreen. To save a step in the morning, try using a moisturizer with the added protection of SPF. 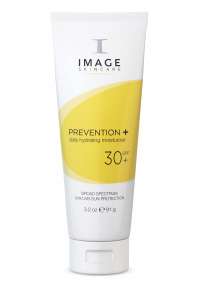 Prevention+ Daily Hydrating Moisturizer, SPF 30, is the perfect complement to your get-up-and-go skincare routine this fall. One application is all you need before applying foundation. Another great tip for those of you that find it hard to apply makeup after lathering on lotion and sunscreen: Wash your face and apply your SPF moisturizer first thing in the morning, then go about your other morning routines, and come back to your makeup once your skin has had plenty of time to soak up the moisture. What’s better than a product that covers up your imperfections and improves the health of your skin while you go about your day? We say, nothing. Try I Conceal Flawless Foundation. This mineral based foundation not only makes your skin look fabulous; it helps to heal your skin while protecting against your daily environment. An added benefit: It’s water resistant! Stress can wreak havoc on your skin: Especially if you’re getting less sleep than normal, and your schedule is filling up. To keep your skin happy, find something that helps alleviate some of that back to school stress. Maybe it’s a fun workout class with your friends, or a hobby that helps you forget about the day. Your body and your skin will thank you for giving it a much-needed rest. As your summer tan wears off, so do your skin cells. Once a week, exfoliate your body to slough off some of those dead skin cells you don’t need anymore. Try Body Spa Exfoliating Body Scrub to improve cell turnover while nourishing and hydrating the skin. An added benefit for all of our back to school moms is it works to help aging skin as well! Follow these 5 tips and your skin will be on track to a great holiday season. Do you have any back to school skincare tips? Share them with us, and maybe we’ll feature your tips on our next post!